Facebook's airborne connectivity efforts overshadowed by rival Google. Facebook has abandoned its plans to beam down Internet connectivity to devices on the ground using drones after it failed to achieve the long flight times necessary for the project to be a success. In 2014, the social network announced Project Aquila with the aim of providing Internet access to rural and undeveloped areas. However, Facebook was unsuccessful when it came to achieving the long flight times reached by other airborne connectivity efforts from its rival in the space, Google. For instance, in one test Facebook's craft experienced a broken wing as it made its descent. The Project Aquila craft had a weight similar to a typically family car with a wingspan of a Boeing 737. The craft utilised solar power during the day and would switch to battery power at night. Unfortunately though, Project Aquila was only capable of remaining airborne for 90 minutes at a time. 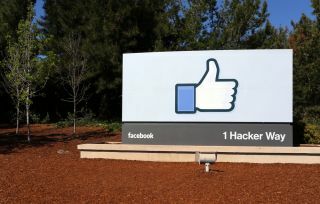 Facebook will now partner with firms such as Airbus in an effort to continue to connect more people to the Internet. A facility used to build the technology needed for Project Aquila in Bridgwater, UK will be closed as a result of the social network abandoning the project.